All our service launches are co-ordinated by HM Coastguard who will take details from you and allocate the most appropriate assets for any given situation. In this section we provide details of our planned training exercises and rotas, which are presented primarily for use of the crew. The general public are invited to view these pages, and are most welcome to come and see us launch our lifeboats on exercise. 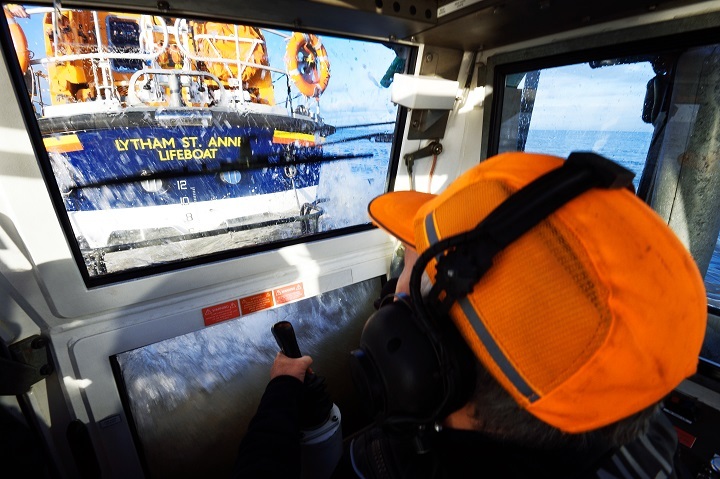 Subject to operational requirements, we are always happy to talk to our supporters and are acutely aware that the RNLI Lytham St Annes lifeboat depends entirely on the generosity of the general public, our supporters and friends. If viewing from a mobile device, please click here ALB Exercise Dates (Mobile) -Opens in new window). Please click here to view our Inshore Lifeboat or ILB Exercise Dates (Desk-Top). If viewing from a mobile device, please click here ILB Exercise Date (Mobile) -Opens in new window). Please click here to view the DLA Rota -Opens in new window).